CelebrateLove.com is proud to present the entire Brian Tracy library of books as well as numerous audio and video cassette programs. There are nine audio cassette shelves featuring the audio cassettes of Brian Tracy. Coming soon. . . Currently under construction are the Brian Tracy Video shelves in Larry's Book Store. Stay tuned! Click here to visit the Brian Tracy Book Shelves. NOTE: Clicking on an audio cassette cover or link will take you to that audio cassette and more information. Most audio programs are also available on CDs. Shopping in our online book store is 100% safe. 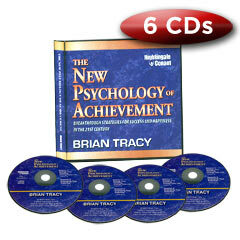 21 Great Ways to Become a Sales Superstar - Brian Tracy - (Fourteen 60-minute CD programs) Improve the quality of your life and achieve all your career goals - the ideas and strategies in these 14 step-by-step programs will teach you how. Learn how to get more done in less time, maintain a loving relationship, advance in your career, lead and motivate others, increase your sales, achieve financial independence in your own business, become wealthy and much more! The New Psychology of Achievement - Brian Tracy - Session One: Building a Positive Self Concept The success instinct. Its six ingredients. The locus of control. Accident vs. cause and effect. Law of mind. The law of belief. The law of expectation. The law of attraction. How belief systems shape attitudes... determine outcomes. The power of positive affirmation. Developing unshakable self-confidence. A simple method for improving your performance... every day. There are six sessions in this audio program. 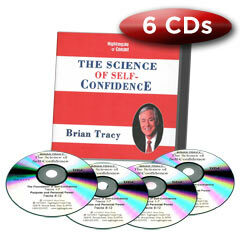 Science of Self-Confidence - Brian Tracy - (Six audio cassettes or CDs) Learn how to develop unshakable self-confidence. Brian Tracy explains how to take full and systematic control of your conscious mind. Learn keys of persuading others and techniques for dealing with difficult people. Plus, learn how to become fearless in your work and personal life. There are 12 sessions in this audio program. 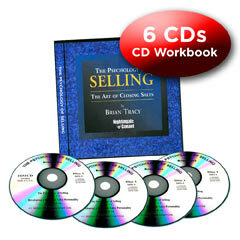 The Psychology of Selling - Brian Tracy - (Six CDs & workbook) - Session 1:	The Psychology of Selling The "winning edge" theory. The "inner game" of selling. Self-concept as a regulator. A simple way to increase your earnings. The six phases of selling. The single most significant indicator of your success. The best time to make a sale. Obstacles. There are 12 sessions in this audio program.